Providing conflict resolution and legal counsel to businesses and individuals throughout the Southeast. Providing legal guidance for and document drafting of policies and procedures surrounding employment and contractual issues to help organizations avoid conflict. Using Alternative Dispute Resolution techniques to resolve conflicts in ways that satisfy the needs of both parties, providing true closure and avoiding litigation. Conducting investigations into employee complaints with efficiency and discretion to ensure an accurate analysis of the situation and minimal impact on the organization. "Tanya does an outstanding job as a mediator and I recommend her without hesitation. She is evaluative and takes the time to really learn your case. She is well versed in employment law, which adds to her effectiveness." "Tanya mediated a series of employment claims between the EEOC and a defendant that were both complex and contentious. Her knowledge of the law and her experience, having represented individuals as well as employers, was instrumental in the parties reaching a resolution that I am not sure could have been reached without her assistance." Attorney Tanya Tate specializes in Employment Law and Alternative Dispute Resolution. 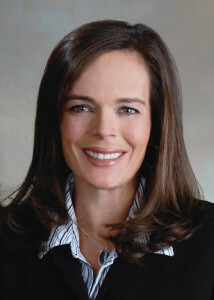 Through her practice, she provides her clients with guidance in establishing procedures to avoid conflicts, investigation services if complaints arise, and mediation to resolve disputes without litigation. As an experienced attorney and mediator, Ms. Tate brings the right balance of knowledge, integrity, and interpersonal communication skills to her clients. Contact Tanya Tate today to get started. Could Major Changes be in the Air for Noncompetes?